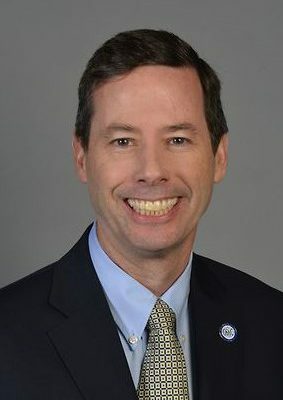 In September 2017, Tom Scanlon became OSAC’s Executive Director. 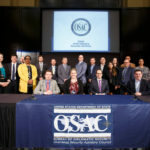 Here, Tom shares his unique perspective on OSAC gained from three decades with the U.S. Department of State. 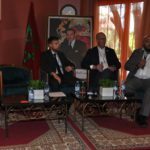 Q: As a former Regional Security Officer, what are some of the challenges RSOs face in setting up Country Councils? A: Sustained engagement is the biggest challenge. 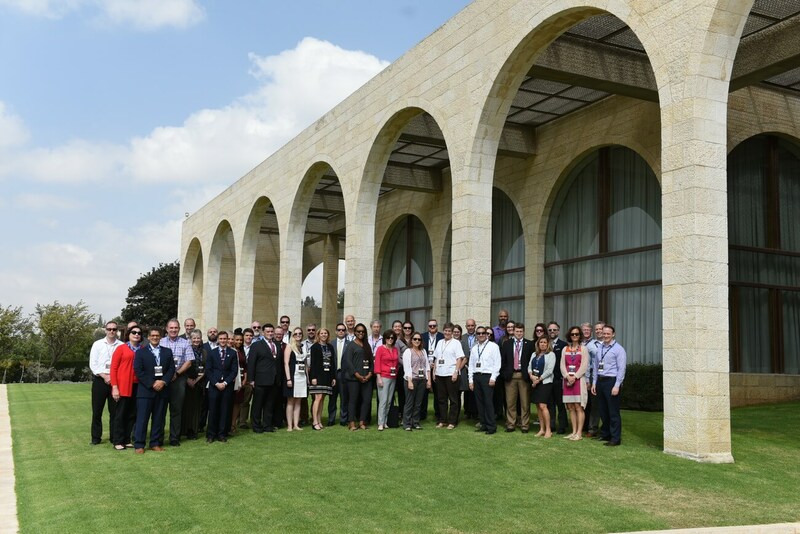 Country Councils (CC) replicate the OSAC partnership at 142 overseas locations. A successful CC has the following four elements: Public and Private Sector chairs; a steering committee; a charter; and meetings. The challenge is having an involved RSO and identifying and recruiting a strong Private-Sector chair and an engaged steering committee. Once in place, a CC establishes meaningful communications networks to share security information and plan impactful meetings that address local constituent concerns. The longer-term challenge is maintaining that success when there is changeover of the RSO or Private-Sector Chair. OSAC’s Outreach and Engagement Team plays a critical role in ensuring there is continuity and strengthening CCs that may need assistance. 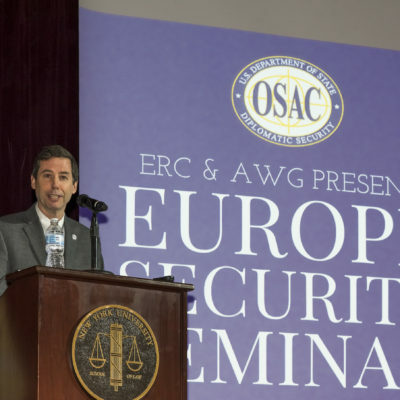 Tom speaking at the 2018 Europe Security Seminar at New York University. Q: Why are Country Councils so important? Each CC is composed of local employees or ex pats of a U.S.-based organization who have worked and lived in that country. They have seen it all, so they are a critical resource for the RSO and OSAC to better understand the security environment. This, combined with the RSOs U.S.-government perspective, provides a comprehensive security profile of a region or situation. 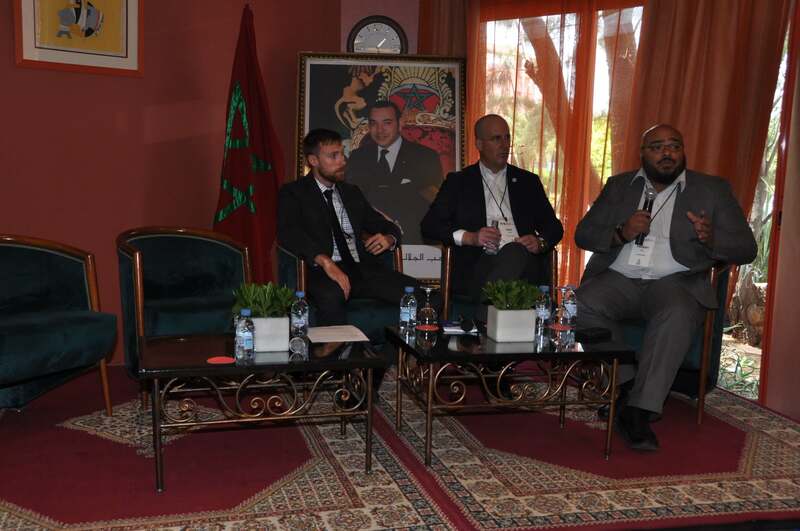 In addition, OSAC members use CC Google and WhatsApp groups to develop and sustain working relationships and to exchange relevant security strategy information in real time. For example, the CC in Honduras set up a WhatsApp group and shares information with neighboring Central America CCs. When unrest and violence blocked areas of Honduras this past January, the group was able to keep everyone informed of protests and transit issues that potentially impacted their operations. In Shanghai, there was an incident where a vehicle struck pedestrians on a sidewalk leading to media speculation that terrorism was involved. An OSAC constituent with a business adjacent to the accident scene used the Shanghai CC’s WhatsApp and quickly reported the facts (it was an accident) along with photos. These two examples, among many, demonstrate the value of CCs to enable security professionals to quickly report an incident or find solutions to security issues impacting their area of operations. Q: What are your short-term and long-term goals for OSAC? OSAC’s greatest consistent challenge every year is the Annual Briefing (AB); our 33rd iteration will be held November 14-15, 2018 at the State Department in Washington, D.C. It’s a big task for OSAC Committees and staff to complete all the logistics, identify keynote speakers and panelists and produce material for the more than 1200 attendees. A short-term challenge is the OSAC website, which our constituents rely on for information. Diplomatic Security has funded a full upgrade, which is currently going through a final State Department assessment. The plan is to be live within 2018. Longer term, we are working to implement OSAC’S Executive Working Group’s strategic plan. In furtherance of this goal, OSAC’s three committees (Technical Threats and Risk, Outreach and Engagement and Risks to Personnel and Assets) are addressing top OSAC constituent concerns. 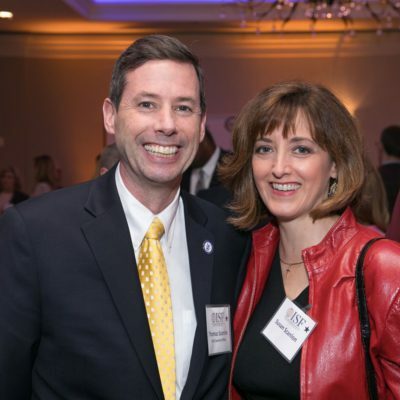 Q: What was the biggest surprise when you became OSAC Executive Director? When I started as Executive Director in September 2017, the biggest surprise was the scope of OSAC’s activities. To many RSOs, their main exposure to OSAC is through CCs. 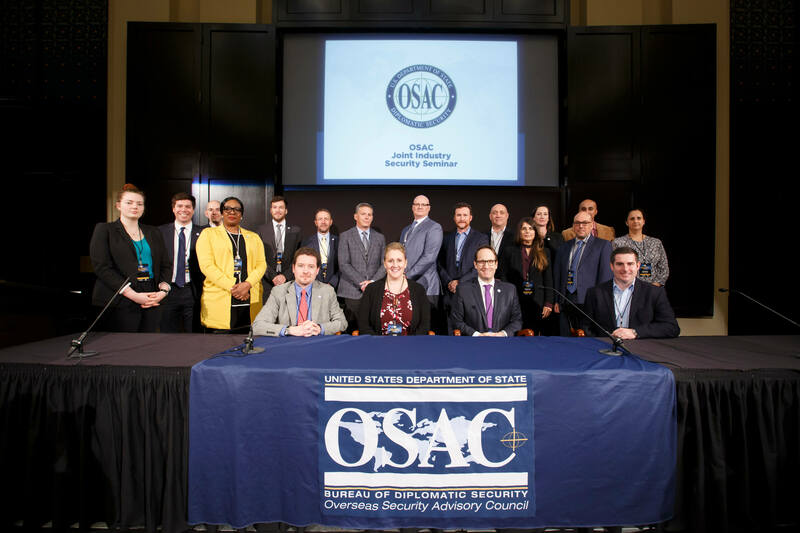 RSOs also work with OSAC’s Research and Analysis Unit to help clear more than 200+ yearly analytical reports that they produce or with our Global Security Unit to pass threat information at the local level. Domestically, they may not be aware that our Outreach and Engagement Team coordinates many events, including five Regional Councils (Latin America, Europe, Middle East/North Africa, Pan Asia and Africa) and seven sector-specific working groups (academia, aviation, energy, faith-based, hospitality, media and entertainment, NGO sectors) and our new Women in Security Forum. These Common Interest Councils (CICs), as they are collectively known, are important because they allow constituents to participate in smaller, like-minded groups to ensure they receive more targeted and actionable information-sharing in areas they may operate. Many RSOs, like me at the time, also may not have realized the role OSAC plays in worldwide major events. 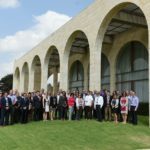 For the Olympics, OSAC prepared a thorough pre-assessment analytical report, arranged meetings between key host country officials and sponsors and, during the event, deployed a team that is fully integrated into the U.S. Government’s Joint Operations Center. This allowed our team to provide on the ground consultations, establish a communication network with the private sector and distribute a daily situation report. 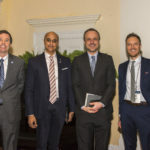 Although the U.S. failed to qualify for the World Cup, OSAC will still deploy to Russia in support of the large number of private-sector organizations such as broadcasters and sponsors who are involved in the event. Read Wired Magazine’s profile on the U.S. Department of State’s Security Command Center at the 2018 Olympics and Paralympics. 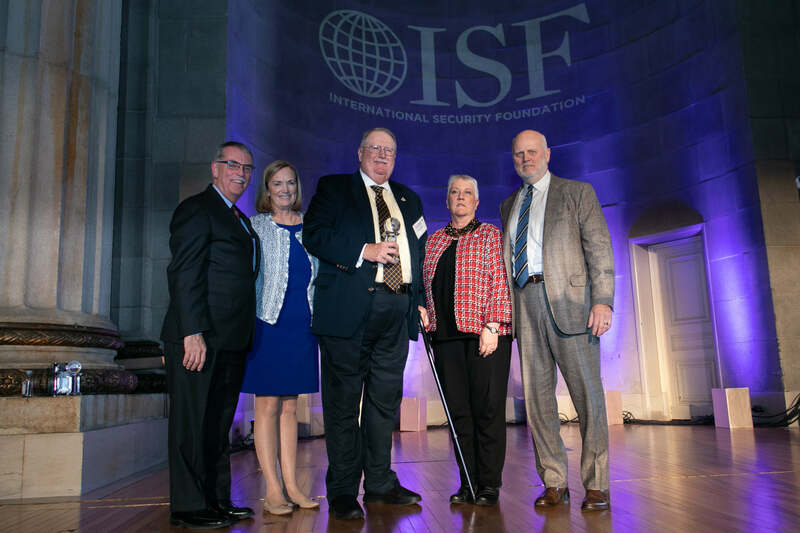 Tom and Susan Scanlon at the ISF 5th Annual OSAC Appreciation Dinner in November 2017. Q: How does OSAC benefit from its partnership with ISF? Historically, key decisions are made at certain junctions that strengthen the long-term viability of an organization. 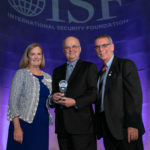 For OSAC, the 2011 creation of the International Security Foundation (ISF) was critical. 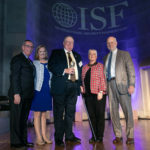 ISF plays a key role in raising funds from U.S. companies and organizations to support OSAC Country Councils, Regional Councils and Sector-Specific Working Groups. OSAC event budgeting is intricate, and every group relies on ISF to provide guidance on fundraising appeals and to ensure event planning does not exceed available funding. Equally important, ISF funds those CCs that do not have the means to hold meetings. Each year, this funding has resulted in increased CC meetings, which ensures RSOs do not have to self-fund CC activities. The bottom line is that the generous contributions of private-sector organizations, combined with ISF oversight, has enabled OSAC to provide more events and networking opportunities that bring together our constituency. 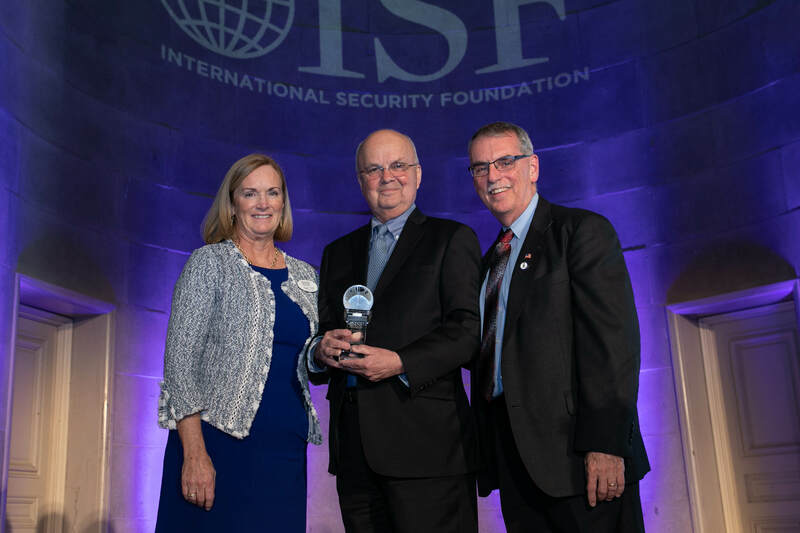 For example, ISF underwrites OSAC’s yearly International Travel Safety & Security and Crisis Management Forums. 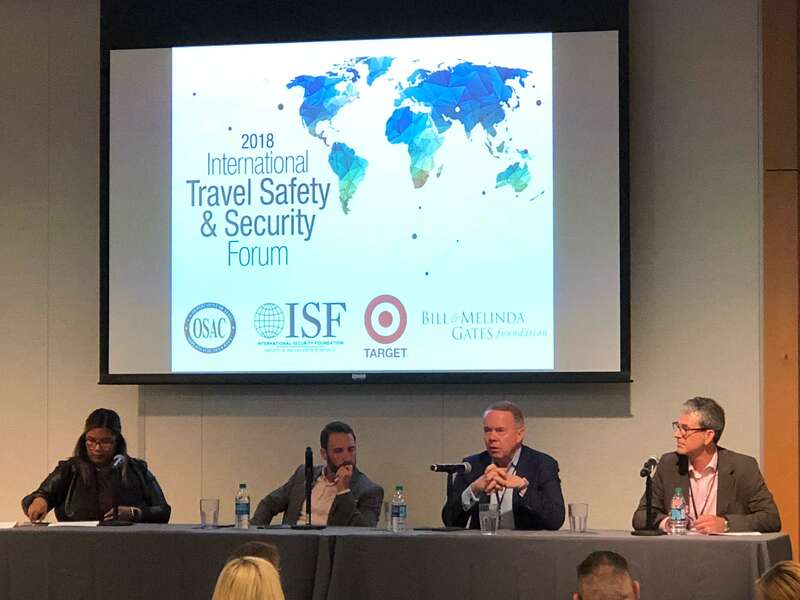 The first event I attended was the 2017 Crisis Management Forum, hosted by Target, that had an excellent array of speakers jointly coordinated by OSAC and ISF personnel. 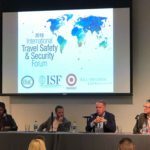 The 2018 International Travel Safety & Security Forum is in August in Seattle, WA and will be hosted by the Bill and Melinda Gates Foundation. My roots are in the New York area with most of my pre-State Department years spent in New Jersey. I did not get on a plane until I was returning from my freshman year from Syracuse University to Newark. The airline was People’s Express (long gone) where, upon boarding, you paid $19 in cash for the one-way flight and then said a prayer. 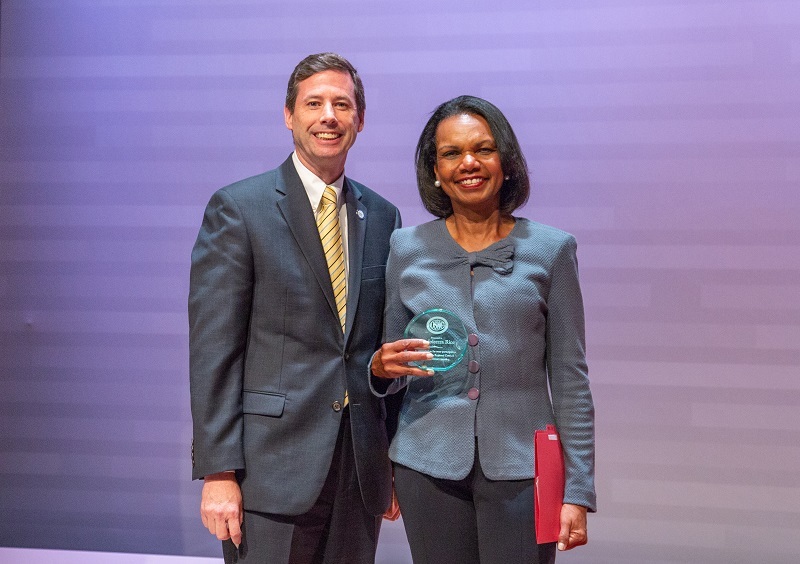 While I can’t match many private sector colleagues for the number of miles flown, I have visited more than 110 countries throughout my 31 years with the Department of State. All my overseas tours (Colombia, Turkey, Mexico and La Paz) were excellent experiences both professionally and for my family. My next goal is to visit National Parks in the United States. Thanks, Tom, for your leadership of and vision for OSAC! 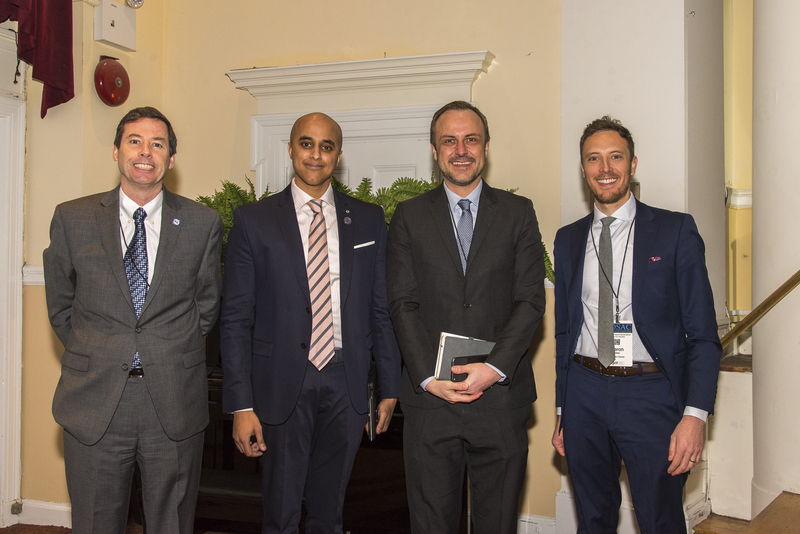 Read about him accepting the Office of Global Partnerships’ 2018 Annual Partnership Excellence Award on behalf of OSAC. 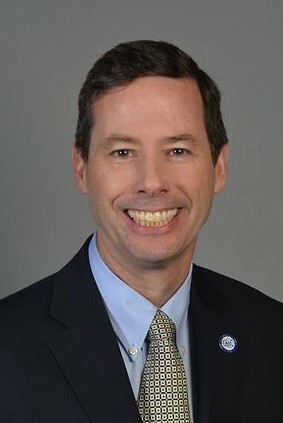 A member of the Senior Foreign Service and Special Agent with the U.S. Department of State’s Bureau of Diplomatic Security, Tom became Executive Director of OSAC in September 2017. He has served with the U.S. Department of State for 30+ years. Overseas assignments include tours in Bogota, Colombia, Ankara and Istanbul, Turkey, Mexico City, Mexico and La Paz, Bolivia. 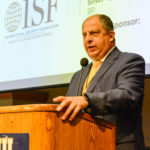 Domestically, he has served as a Special Assistant to the Deputy Assistant Secretary for International Programs, a Career Development and Assignments Officer, a Special Agent in the Office of Professional Responsibility, the Mobile Security Division, Secretary of State’s Protective Detail, and the New York Field Office. 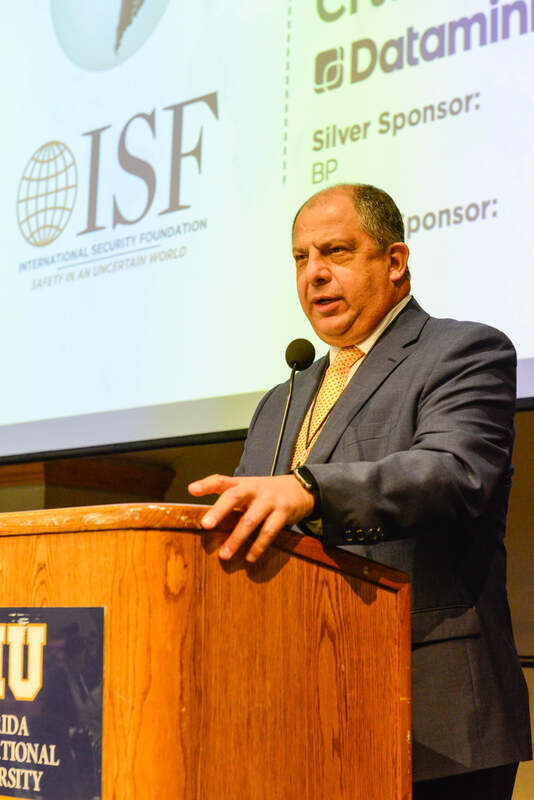 His most recent assignment was as the Regional Director of Diplomatic Security’s International Programs for Western Hemisphere Affairs (WHA). He had responsibility for 48 Regional Security Officers assigned to 55 U.S. Embassies and Consulates throughout the Caribbean, Central and South America, Mexico and Canada. He holds a B.A. in Political Science with a minor in Spanish from Syracuse University. 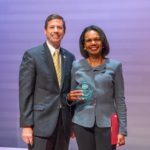 Tom was commissioned into the Senior Foreign Service in 2013 and is the recipient of multiple Department of State Superior Honor and Meritorious awards.